We have gone through so many periods in human history on earth and everything has been changing so dramatically from one era to the next. Within a very short period of time, relatively speaking, we have gone from being cave men with stick in our hands, to modern and technologically advance men, with smart phones, computers, and other gadgets. These changes have been ever so rapid over the last 200 years with industrial revolution followed by the technology revolution. One would assume that the “cave man” and uncivilized way of thinking should have been replaced with more humane and sophisticated man and new points of view. In 2008 we elected a “black president” in the United States, for the first time in its history. 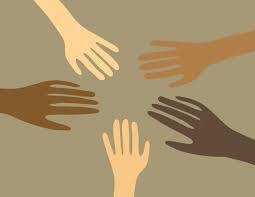 Frankly at this day and age we should not be even thinking about who is black or white or any other color, but we are! Some of us humans thought that this is a breakthrough and we will be going to see more harmony between people of different races and creed. But once again we were wrong. Election of a half white/half black man (who is considered as black for some reason) created even more hatred and racism. Forward to 2017 and racism is now back on the spotlight and people feel free to express how racist and ignorant they are. Bigotry is once again fashionable. Some people, including Donald Trump himself, cannot believe that after a campaign full of hatred, bigotry, narcissism, negativity and vulgarity, someone like Donald Trump can actually become the president of the United States of America. What happened? Why are we going backward rather than forward? Well, there are plenty of reasons for why things happen the way they happen. People have to be kept dumb, otherwise the 1% will lose control of the 99%. What is the best weapon for the 1% to continue to keep the average person stupid despite access to so much information and facts? The answer is simple: by creating division between people by promoting hatred through race and religion. By doing so, they will have people on a leash and running them against each other, and on so many levels. And as long as we talk about white, black, yellow, red and brown, with their various forms and shapes and subdivisions, there is simply no hope for humanity. So never underestimate the power of racism. How was Obama discriminated? He is a professor of law and became a US President, that’s not bad!!! Well, this is the land of confusion! Why was Obama referred to as black put in quotes? well Obama’s mother was white, and he was brought up with his white grand parents. If he didn’t look black then he would probably not be discriminated overtly over his life time and would probably not even identify with blacks in America. It’s racism that makes him black otherwise he is half white. Does that make sense to you?